We’re proud to announce that in the latest release of the Unified Firmware we have more printer support as well as some minor bug fixes since the last releases. 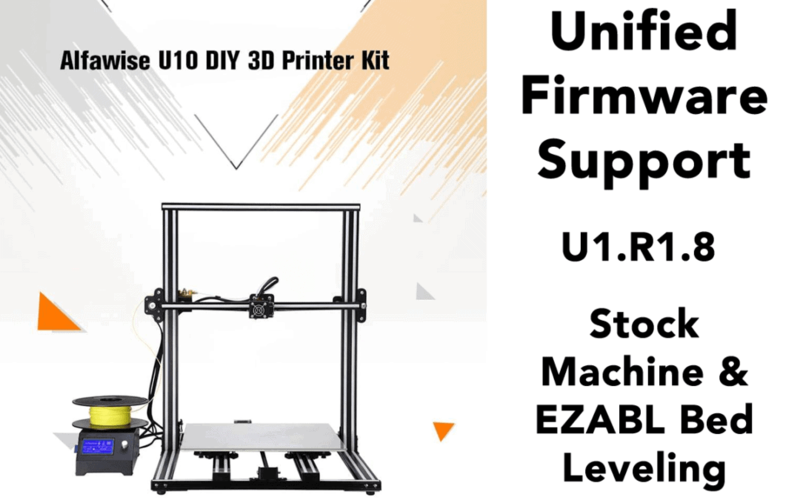 The Alfawise U10, Ender 3, and the Wanhao i3 Mini are all added for stock machine support. 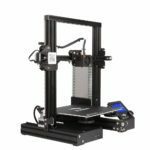 The Ender 3 is compatible with the EZOut and EZABL kits. The i3 Mini and U10 work with our EZABL kits. In regards to the GPL posting we made a few weeks back Creality has agreed to fully release ALL firmware source code for the remaining models by June 2018. 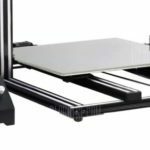 They already released the CR-10 and CR-10S firmware to the public. 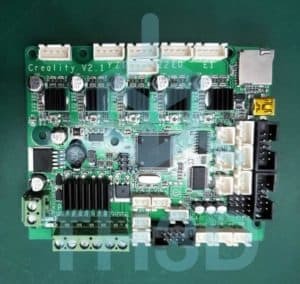 The Ender 3 firmware is a mix up of the original CR-10 and CR-10S firmware so you can actually compile the Ender 3 with minimal changes to the CR-10S source code to make it work on the board. They will also be releasing all their design files for their machines as they said in a video press release they posted last week. People have been asking about the Creality Power Resume feature and if/when it will be in the Unified Firmware release. We will be testing it in house once the Marlin team finalizes the next 1.1.9 release. Once it is in a somewhat stable state we will post the beta to our GitHub to test out before pushing it as a finished product. The power resume will be an option you can turn on and off as most people will not want to use it. It will cause more wear on your SD card and we will make sure this is noted inside the firmware so that users are aware of the implications that could arise from using the feature. 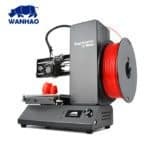 JG Aurora, Wanhao, and AnyCubic have been releasing their firmware source code as well over the following weeks since Creality has complied. Anet has still not responded to any inquiries and is giving the GPL Offenders team the runaround. The EZABL Mini and EZPi will be available soon. We are just waiting on a shipment of parts to come in so that we have the necessary components to complete the products and then take the product photos. The EZABL mini will be 100% compatible with all existing mounts as we are including adapter pieces to let them fit in standard 18mm sensor mounts that are already made and supported. The CR-10S dual extruder board pre-order will be live on Monday. We will set the initial price at $84.99 for the board and if we get more than 100 pre-orders we will drop the price a little and refund the difference. The more pre-orders we get (up to 200) the more the price will drop. We are looking at a plugin to see if we can automate the refund process if we get enough orders and need to finish testing. We will be testing all boards that come in to us and this is part of the cost of the boards. Once we hit at least 50 orders we will place the order with our supplier. Once that takes place it will be about 3-4 weeks before the boards start shipping. If we do not get at least 50 pre-orders all pre-orders will be refunded and the boards will not be ordered. Additional parts to do dual extrusion will be added later in the week as we are waiting on pricing and product photos from our suppliers to add them to the site. 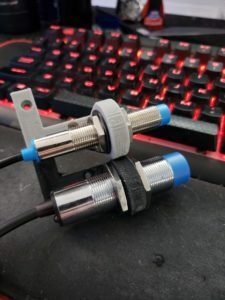 We will have options that will be dual hotends, 2 into 1 hotend adapters, and dual input mixing hotends. We will also be stocking basic metal CR-10 Style extruders and stepper motors so that you can get everything for your dual extrusion journey all from one place. We will be adding the dual extruder support for the new boards into the Unified Firmware so that you can easily get up and running. There will be LIMITED support in helping you get the dual extrusion going but we will have documentation and information on the site so that you can get going pretty quickly. We’re also combing through Thingiverse and putting together a CR-10 dual extrusion collection so that you can select from existing printable parts without having to spent hours looking through what is out there. We will post that link on the product page for the board once we have it all done. If you do require one on one assistance getting everything setup then you will be able to schedule support time at an hourly rate with one of our support reps. Thank you again everyone for your community support and support through our shop. We couldn’t do it without you all and we hope that 2018 keeps going well for us and everyone else.